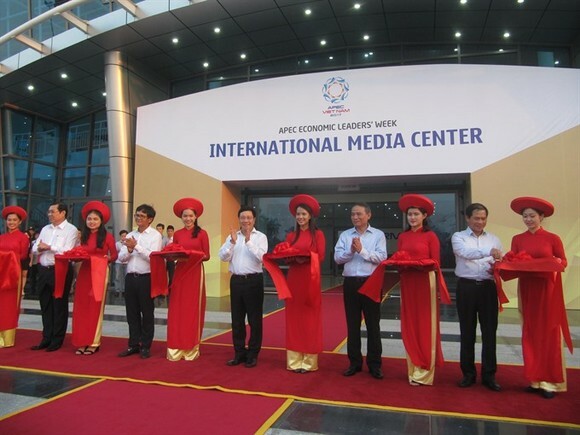 Deputy Prime Minister Pham Binh Minh and members of the National Asia-Pacific Economic Co-operation (APEC) Committee officially inaugurated the International Media Centre in Da Nang yesterday. 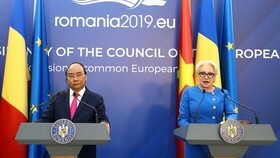 Minh praised efforts made by the central city, the Ministry of Information and Communication and other agencies in completing the media centre in time for the upcoming APEC 2017 Summit. 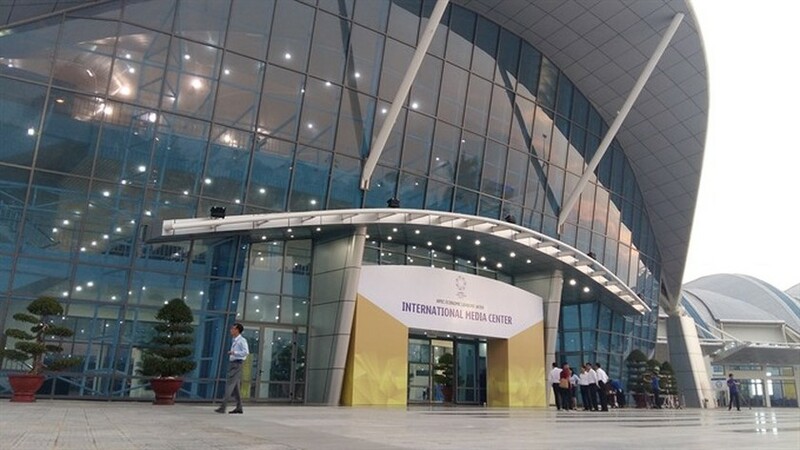 “This media centre will serve for over 3,000 journalists and reporters from domestic and foreign agencies during the APEC Economic Leaders’ Week. 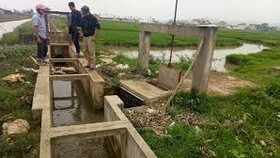 It will help broadcast worldwide news of APEC, and images of a dynamic Vietnam and Da Nang. “It will play an important role in supporting a successful APEC Summit that includes a series of meetings and conferences of economic leaders, CEOs and ministers,” he said. 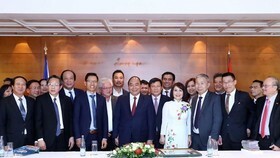 Minh, who is chairman of the APEC National Committee also hoped that the centre would help promote an exciting and lively APEC Summit in Vietnam. He visited the booths of major news agencies, press conference halls, and dining area serving journalists and reporters during the APEC’s Economic Leaders’ Week on November 5-11. 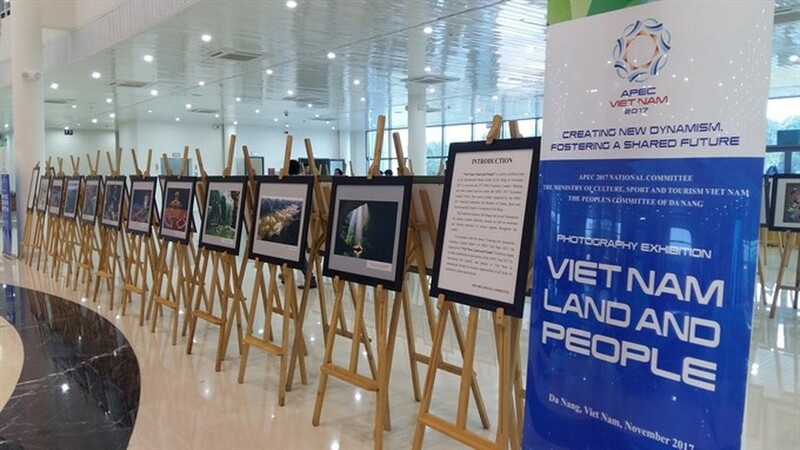 A photo exhibition – Land and People –also opened at the media centre yesterday, featuring 100 photographs of the landscape and beauty of people of Vietnam. 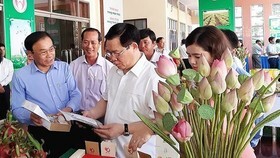 International news agencies including AP, Reuters, AFP, Fox News, Kyodo, Xinhua News Agencies, CCTV, Nikkei, Tokyo Broadcasting System and Fuji Television Network, as well as the host news agencies, Vietnam News Agency, Television (VTV) and the Voice of Vietnam (VOV) have already set up their booths at the centre. 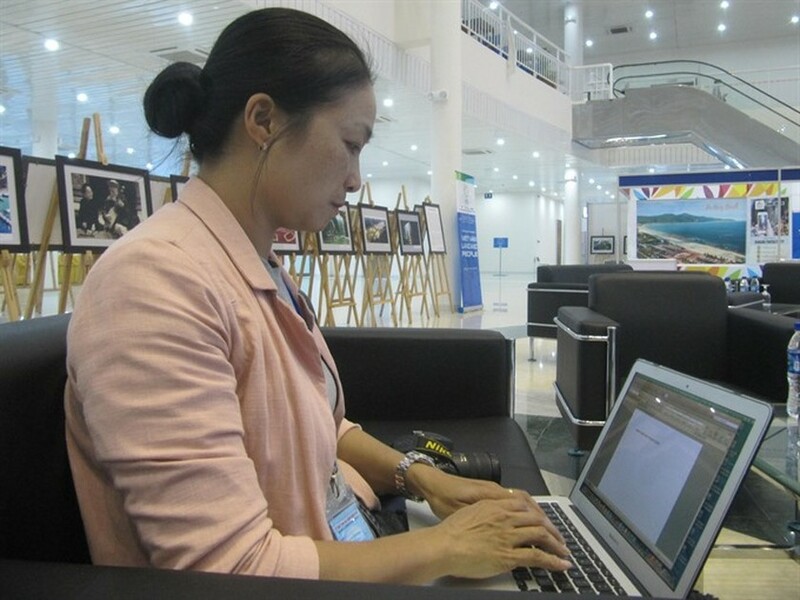 The centre, which covers an area of 1.3ha, will provide working space for thousands of journalists during the November 5-11 APEC summit. Four press conference halls offer 400 seats for different press conferences. A main hall has been set aside for the President’s final press conference. 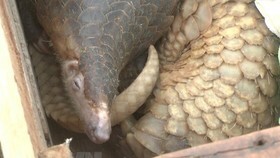 It is expected that 15,000 delegates, CEOs and others from 21 APEC member economies will join the APEC Summit. 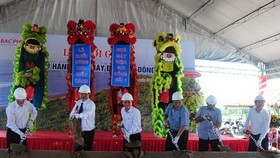 The city has launched a Smile of Da Nang campaign to raise awareness of the APEC meet among local residents, civil servants and tourists. A ‘Green’ Sunday campaign was also launched in the city yesterday to raise awareness among the community, encouraging them to join hands in keeping streets and public areas clean, and in ensuring smooth traffic flows during the APEC Summit. Established in November 1989, APEC comprises 21 economies, representing about 39 per cent of the world population, 57 per cent of total GDP and 47 per cent of world trade. 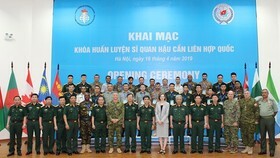 Vietnam joined the forum in 1998. The country hosted APEC 2006 and the sixth APEC Human Resources Development Ministerial Meeting in September 2014.